HDauctions.com develops eBay auction templates for members only. Our membership term is 1 year, which includes access to all templates, plus all new releases. You may cancel your subscription at any time through your PayPal dashboard. By canceling your subscription you are only deactivating annual membership renewal, however your membership access will remain functional until your original membership expires. If you do not cancel your membership within 1 year you membership will automatically renew until you cancel through your Paypal dashboard. During your active membership you may use any template as any times as you wish. Need to list 100 vehicles? No problem. 1. Select a template and use our description generator. 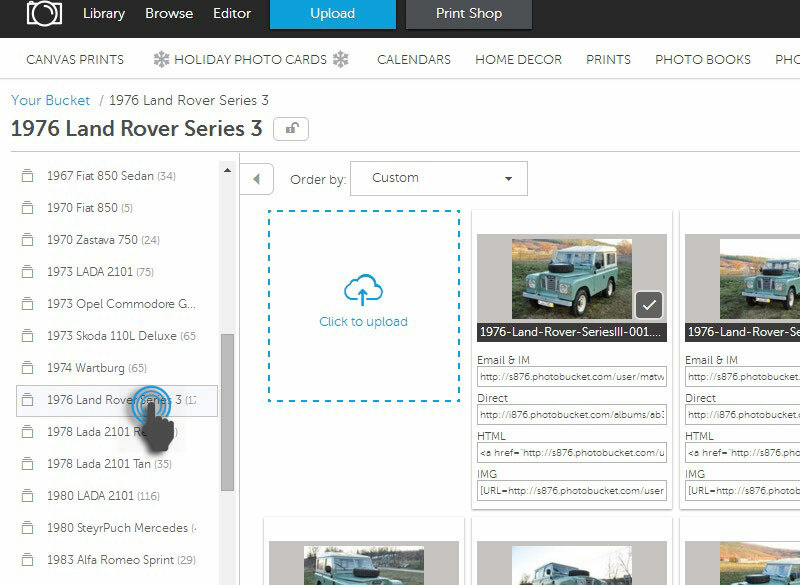 In this case simply upload your vehicle or product photos to photobucket.com, picasa.com, flickr.com or any other photo host; enter the vehicle description, and generate your HTML with our easy to use online HTML generator. This guarantees the original template HTML does not get disrupted and will display properly through all major browsers. Whence your HTML is generated preview your ad using the “preview” button, then simply copy and paste the HTML code into eBay’s description field. Note: you must enter the HTML into the “HTML” view on the eBay description field. 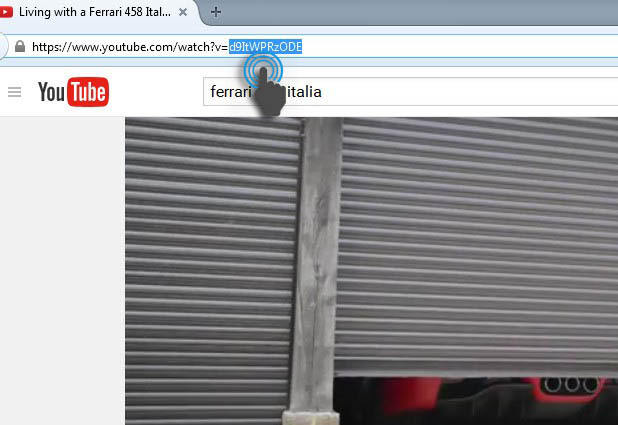 Once pasted you may use ebay’s preview feature to verify proper display of your ad. This options generally requires some knowledge of CSS and HTML to properly modify the template. There is also a risk that the HTML can become invalid if mistakes are made. Nevertheless, this has been a popular option for our customers who have basic knowledge of HTML. To access the raw HTML you first need to fill out a template’s description generator then generate the HTML. You can now copy the HTML and edit using various HTML editors like Dreamweaver, MS Frontpage or a host of online HTML editors. You can even make changes to the HTML right on eBay’s description field in “Normal” view. You must be logged in to view a template’s associated description generator. Using the description generator is very intuitive. 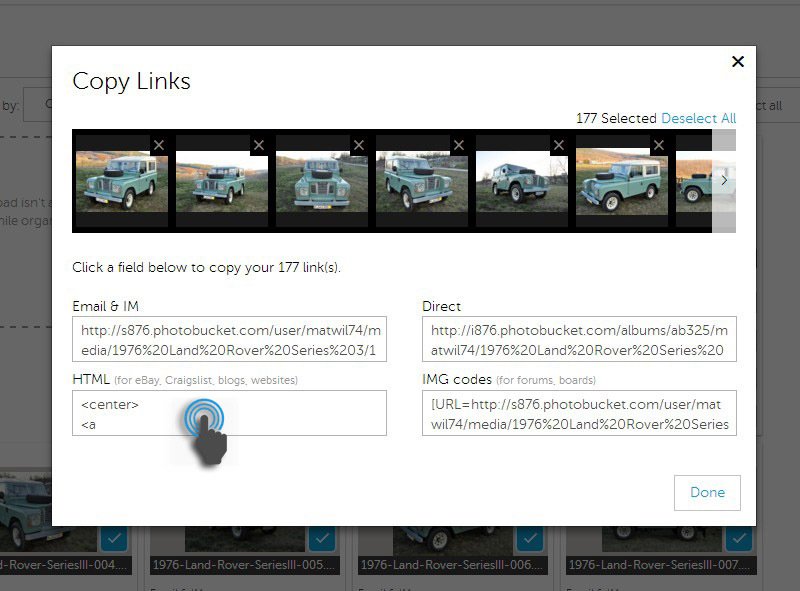 Simply upload your featured images using the built-in upload tool, enter your vehicle description, paste your image gallery embed code then click the “Generate eBay HTML Code” button at the bottom of the form. 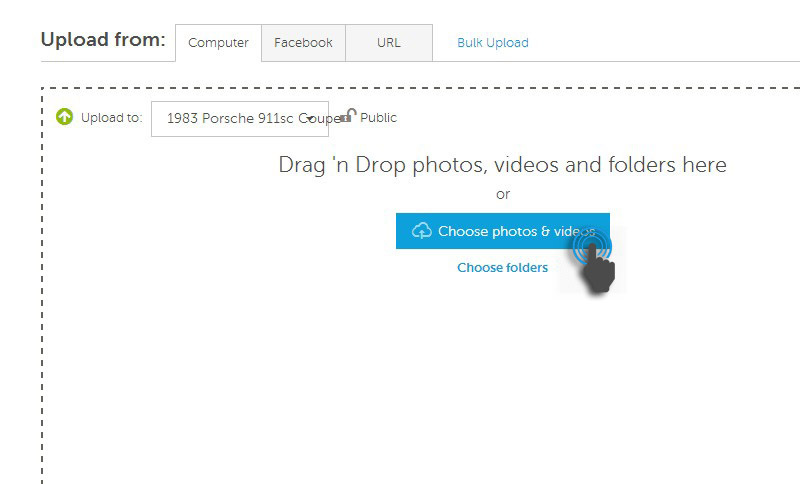 After our system uploads your featured images and generates the HTML you will be redirected to the preview and HTML page. 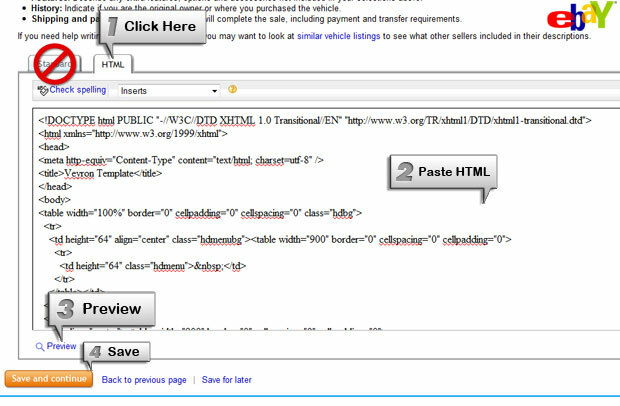 Here you will copy and paste the code into eBay’s vehicle “description field” with the HTML tab selected. If you keep getting error messages please review which field is missing the required info. The description generator will not create the HTML code until all required fields are filled in. 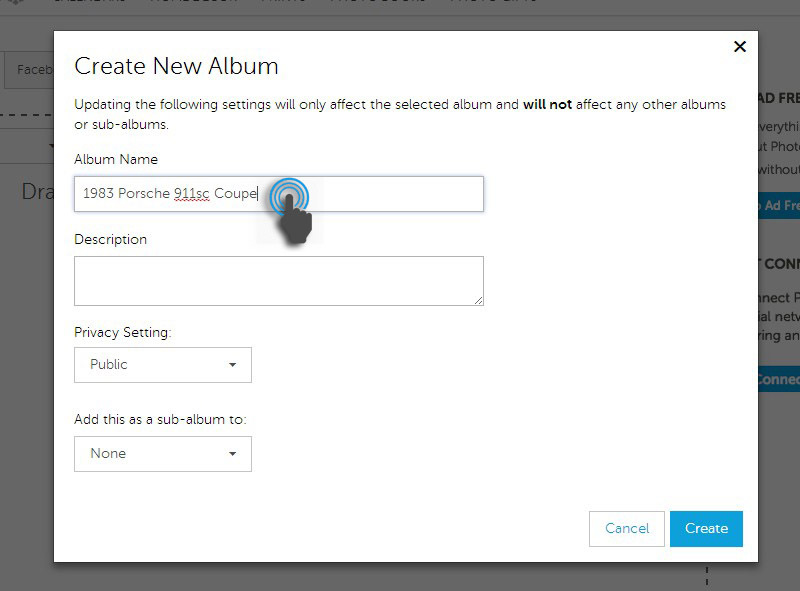 Our premium template description generators automatically save the information you insert for as long as you are a member. To view your saved description simply log in to your account and either click on the “Saved Templates” tab or click on “Saved Templates” on the upper navigation. All the vehicle info/images you entered will be displayed within the generator form. Edit any of the entries you need to and press the “update” button. Your HTML will be regenerated with your new changes. This permits you to recycle text for your next vehicle, saving time. Please note: uploading new featured image(s) will overwrite the old images. Free templates do not save descriptions. If you leave the description form page you will not be able to view the description you entered. You must re-enter it. However, you may edit your description after generating the HTML by clicking on the “edit” link on the HTML page. HD Auctions offers all kinds of template customizations, including customs logo design, matching design to your current website and header translation into your language. Contact us regarding this or you may immediately register for full customization. Your customization will include your own private online description generator that will be customized to your specific template. 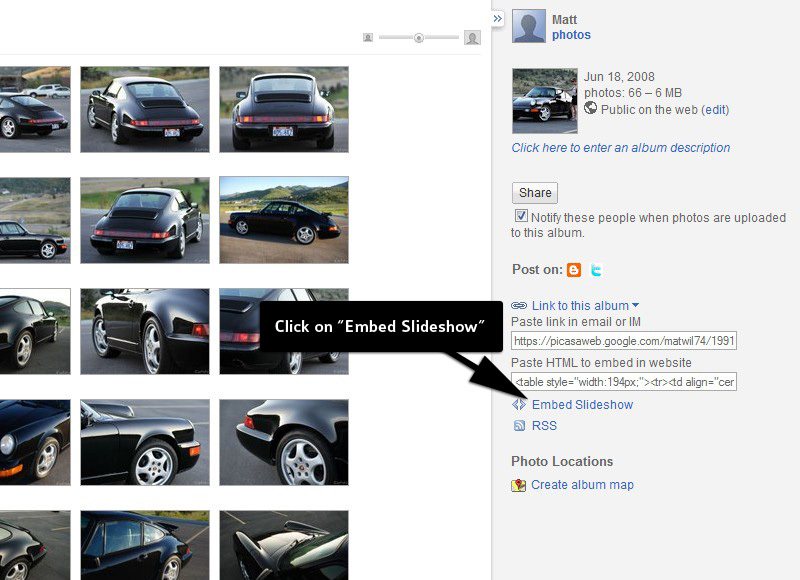 All HD Auctions templates accept image gallery embedding code which are displayed after the template. There are hundreds of image hosting companies. Some are good, some don’t quite cut it. Some are even known to reduce compression quality of your image to save bandwidth (vendio) while still charging you monthly fees. Some are free, some charge hideous fees. 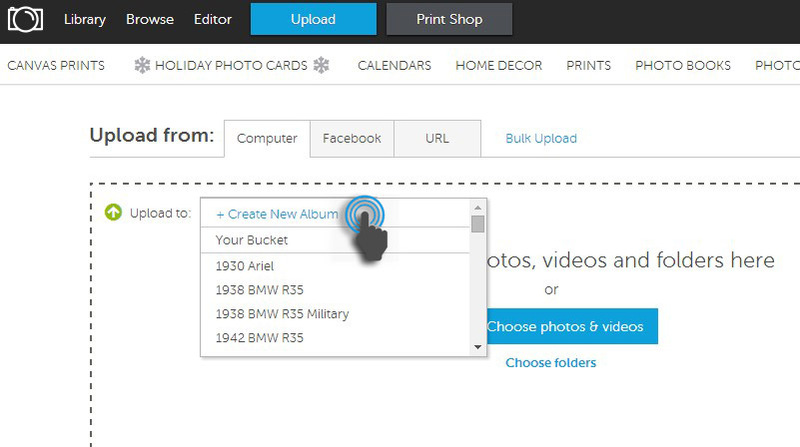 In our opinion a few image hosting companies stand out: Photobucket, Picasa, and Flickr. Most of you are familiar with these companies. However, without a doubt, photobucket is the premier image host for eBay auctions. Their service is free up to a point, but if you intend to use many image they do charge a small yearly fee, a fee that is well worth it if you ask us. Picasa and Flickr are free and offer an excellent alternative to photobucket. After uploading your images to your favorite host you need to generate your embed code and insert into your template’s Hosted Images Embed Code field. This is by far the most sophisticated and user friendly image host for eBay auctions. 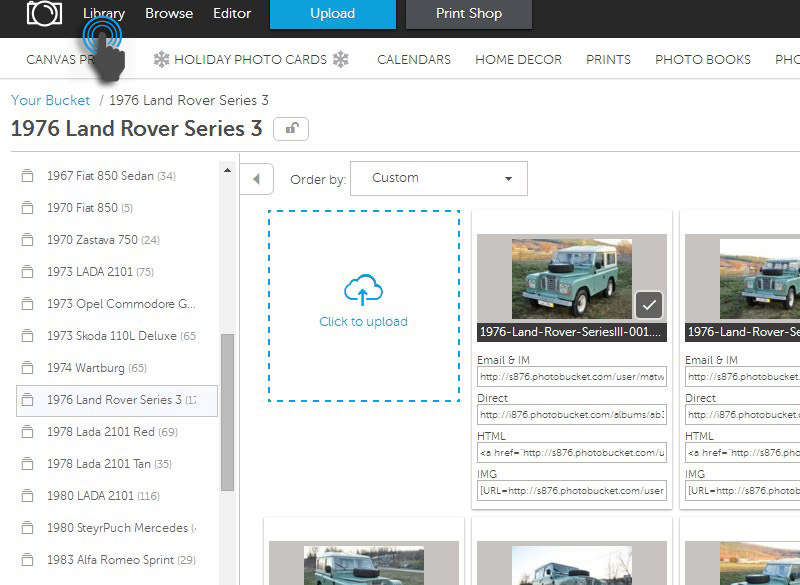 Their system automatically resizes images and generates eBay HTML code supported by our templates. Benefit: your viewers won’t have to scroll down the page if you have many pictures. 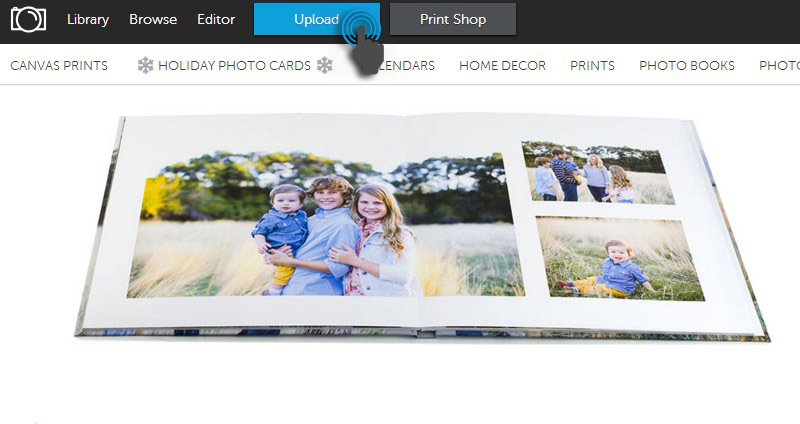 They instead view a stationary gallery just at the bottom of the template and push the “next” button to view all your photos. Drawback: Uses Adobe Flash, which is not viewable on many portable internet devices (iphones). 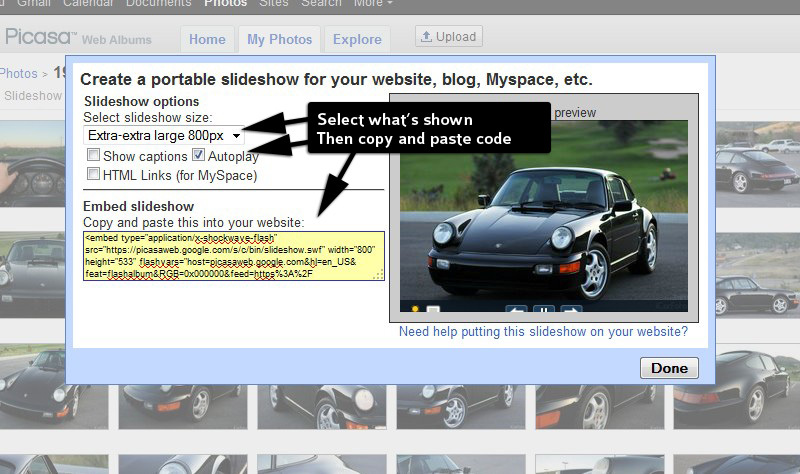 However, a link will be provided for mobile users that takes them to your Picasa gallery page. 3. Return to the HD Auctions then replace your Youtube ID with the three IDs highlighted below. Be sure to take care in deleting and replacing the ID. I have a large inventory of vehicles, are your templates efficient? Yes! In fact every template has its own description generator. 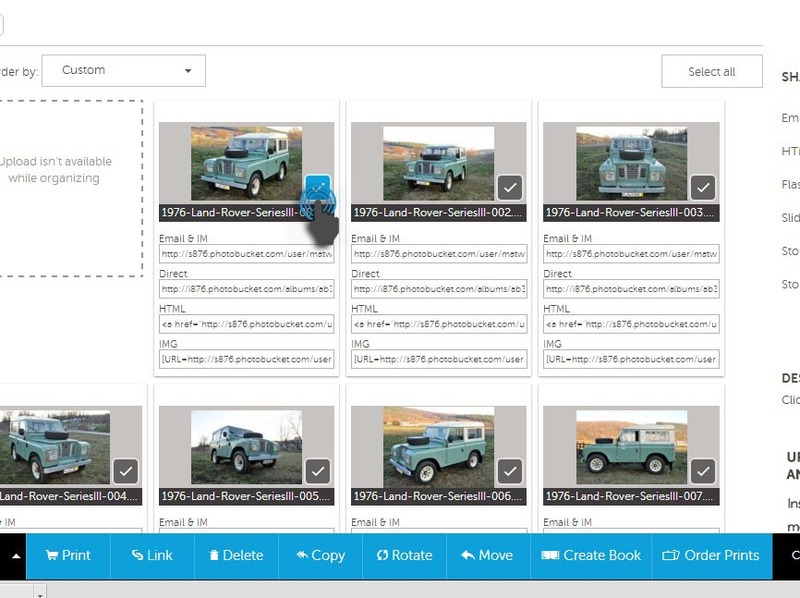 Every detail from your vehicle description, to photos, to your own terms of sale will be saved the next time you visit the same template. Most dealers use the same Terms of Sale, Disclosure, Payment Terms for every vehicle. Our description generator saves this text and automatically enters it into the template for all your future vehicles, saving you lots of tedious work. Vehicle descriptions are automatically saved as well. Most dealers use similar wording for every vehicle, so when you list your second, third, or tenth vehicle your previous description will always be saved, ready to be modified for the next vehicle. Again, this can save you lots of time. I am a private seller, can I use your templates? Of course! Our templates are unique in that they are specifically developed with both private sellers and dealers in mind. Many of our templates have “switches” to turn off dealer mode, while the rest are universal . If you are a private seller you want to appear like one, not like a dealer. Dealers need to appear as dealers as well. How many images can I insert in a template? Our templates are designed to support unlimited images. Be careful with this however, using hundreds of images on eBay can cause viewers to navigate away due to the large amount of files they are downloading. If your images are resized to 800 pixels you can usually get away with up to 150 photos without harming your auction results. Are your templates email compatible? Yes. HD Auctions templates are also designed to be email friendly. Just copy and paste the HTML into the “HTML” view or “Insert HTML” box in your email program (Outlook, Thunderbird, etc). We cannot guaranty compatibility with online email systems, but anything that accepts HTML should work. Because all images are hosted, including the template graphics, the template files size remains very low, enabling the recipient to quickly download and view. Can I modify the template HTML/Source code? Yes: If you purchased one of our templates outright you are the exclusive owner of the source code and graphics. If you have not purchased a template outright (Platinum Customization) you may not modify the HTML, graphics or source code in any way. However, you are permitted to change text and headings. Can I remove the HD Auctions footer logo? Only if you have purchased a template outright or ordered a full customization. If you are still having a problem let us know about it. In most cases this problem will be resolved by using Firefox browser when creating your listing on eBay. 1. You clicked on the “Standard” tab on eBay’s description box after entering your HTML. This is a known bug with eBay. After entering your HTML do not click on the “Standard” tab, doing so will strip vital code out of your ad causing it to distort. After entering the HTML you may click on the “preview” button or “save and continue”. If you need to make changes to your ad, first edit your description using our description generator, update, then re-copy and paste the HTML. Remember, your template descriptions are always saved in our database so you can go back easily to edit or create new ads using saved info. 2. You didn’t copy or paste all the code. Make sure you carefully select all the code and paste it into eBay’s vehicle description field with the “HTML” tab selected. If you enter the HTML into the “Normal” view your ad will not display properly. 3. You entered too many characters in one of the vehicle specification fields. Example: in the “Engine Type” field you entered too many words, try shortening it to something more concise: instead of Chevy 350 V8 250 horsepower, try entering just 350 V8. 4. You entered too much text on the sidebar. Some of our templates contain a sidebar that stretches downwards as information is entered. Try making your entries in this are more concise or deleting a few redundant sentences. 5. Your logo is too large. Some templates permit dealer logos. Please review the logo field on the description generator for details of the required dimensions. Exceeding these dimensions can cause the template to distort. If your logo is too large you may want to resize it then upload it to your image host and re-enter the URL into the logo field. If you are still having a problem with you template displaying improperly on eBay, let us know about it. Our staff of top-notch graphics designers and template developers have the experience and talent to make your custom template really stand out. Our premium customization service includes not only a fully custom template and graphics, but you will also be the sole owner of the source code of any template you choose. Once ordered we will remove the template from our online database and you will have the exclusive rights to it. This has been a popular option for dealers who want exclusivity with their dealer identity on eBay. We can also design templates to match the look and feel of your dealership website. It’s all up to you.